ERC grantees Wolfgang Huber – EMBL group leader – and Oliver Stegle, group leader at EMBL and the German Cancer Research Center DKFZ, share their vision for the next 10 years. The human body consists of tens of trillions of cells. Although all these cells have mostly the same genome, they come in many different cell types. 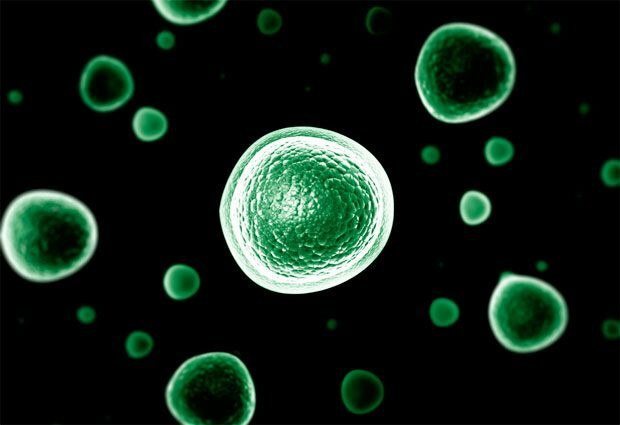 Scientists have been studying cells for hundreds of years, but there are still so many things we don’t understand about them. With the increasing availability of single-cell sequencing, genome editing tools such as CRSPR-Cas9, and powerful statistical computing, we are reaching a point where we will be able to answer fundamental questions about these basic units of life. For example, how does a cell know its identity, or type? What makes it change – or keep – its identity during development, tissue maintenance or disease? What is the wiring diagram of genes within cells that underly these decision processes, and how do they function together to make up living tissues? To explore these questions, together with colleagues Michael Boutros at DKFZ and Jan Lohmann at the University of Heidelberg, we have designed the DECODE project, which will enable us to study genetic networks in their tissue context, in vivo, at single-cell resolution. By combining methods and technologies we have developed, we will address these questions in two model organisms, the rockcress and the fruit fly. We chose these because their body plans are not much less complex than, say, humans or farm plants; yet their genomes are particularly amenable for such research. For the first time, this project will use single-cell genomics and microscopy at large scale to dissect cell-type dependent response patterns in the living organism – how do different types of cells respond to genetic changes or to environmental stimuli? Our research team aims to use CRISPR-Cas9 to switch off, each in turn or in combinations, hundreds or thousands of important genes and investigate the effects using state-of-the-art imaging and single-cell sequencing technology. We will distill these data into a detailed circuit plan of how genomes make tissues. This type of research could reveal crucial new insights into cell identity and function, as well as how cells interact within tissues. Such an understanding could help us design targeted interventions in tissue function, which in turn could be used in a number of applications, from curing disease to breeding crops that withstand harsher climate conditions or use fewer resources. The European Research Council (ERC) is a European funding body that supports researchers at all stages of their careers. Inspired by the ERC’s 10th anniversary in 2017, we asked some of EMBL’s ERC grantees to look ahead another 10 years and share their vision for their field of research.